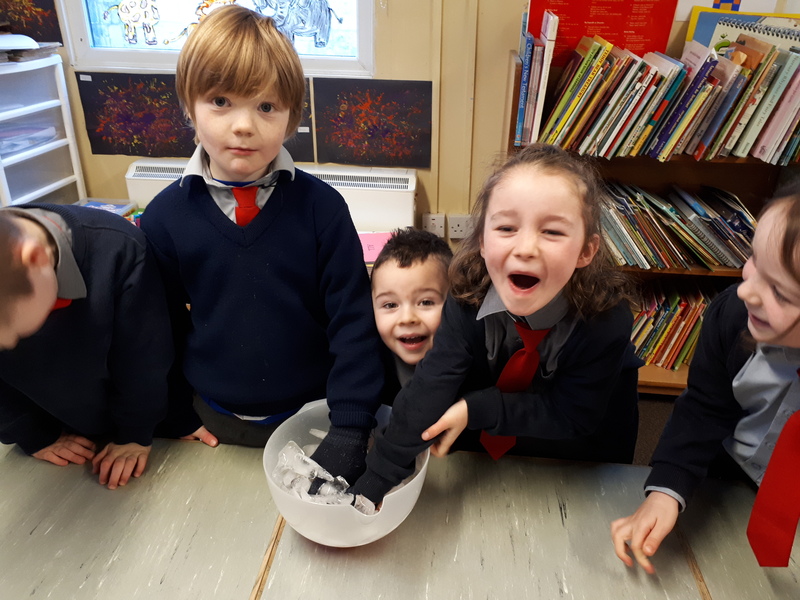 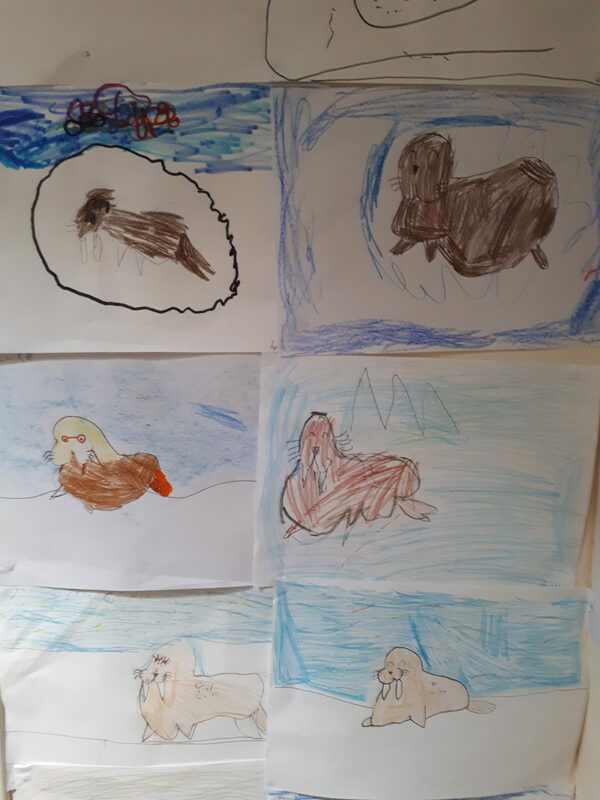 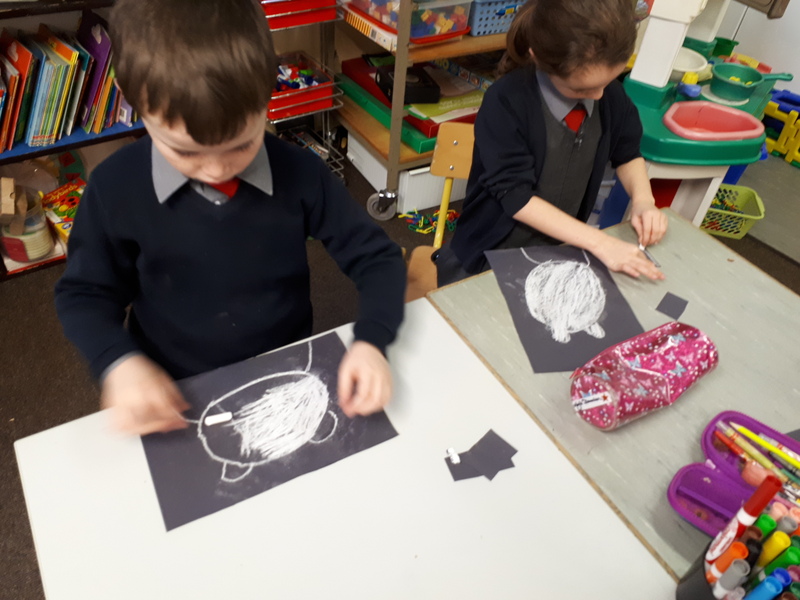 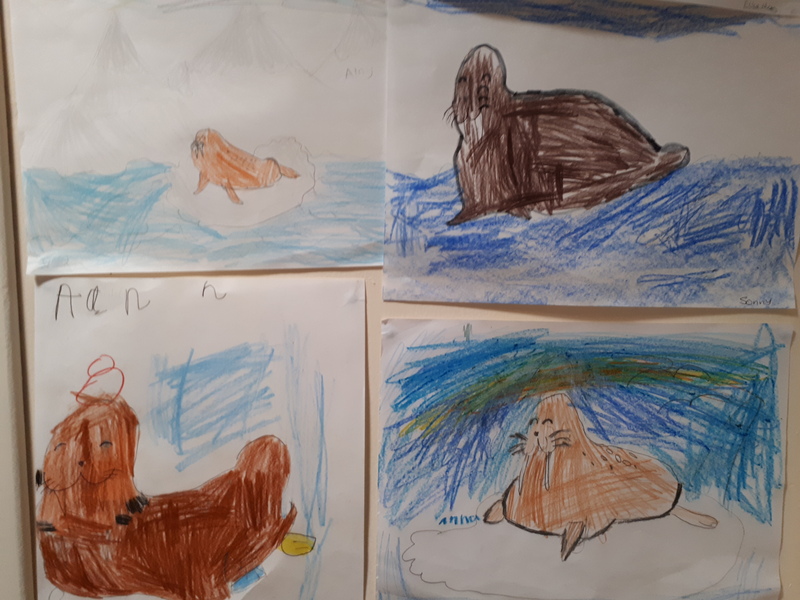 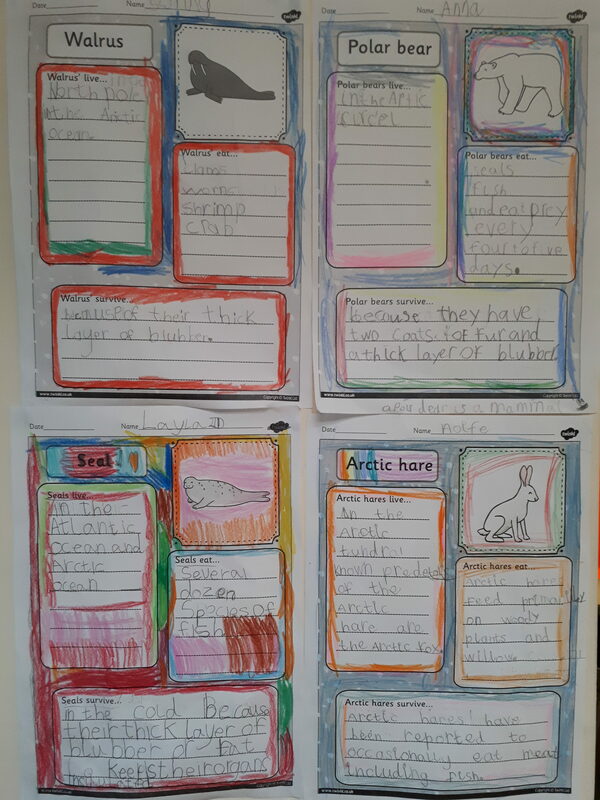 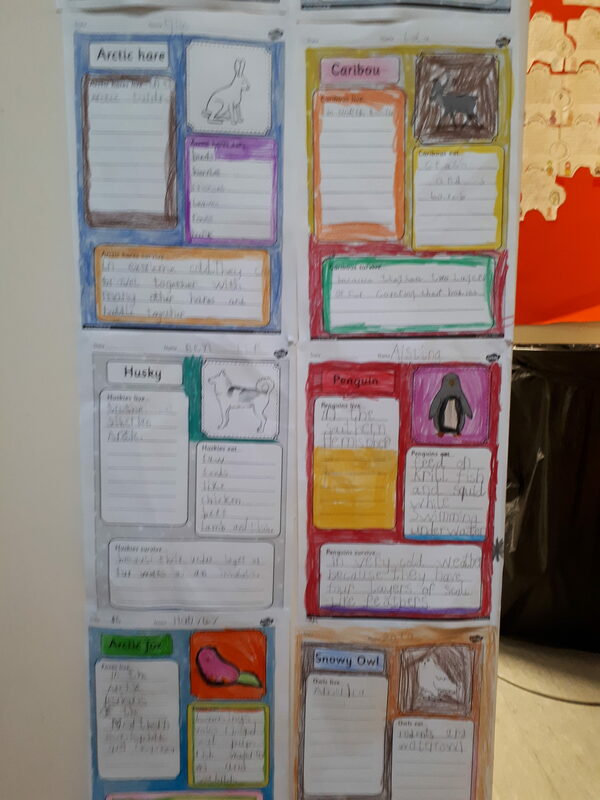 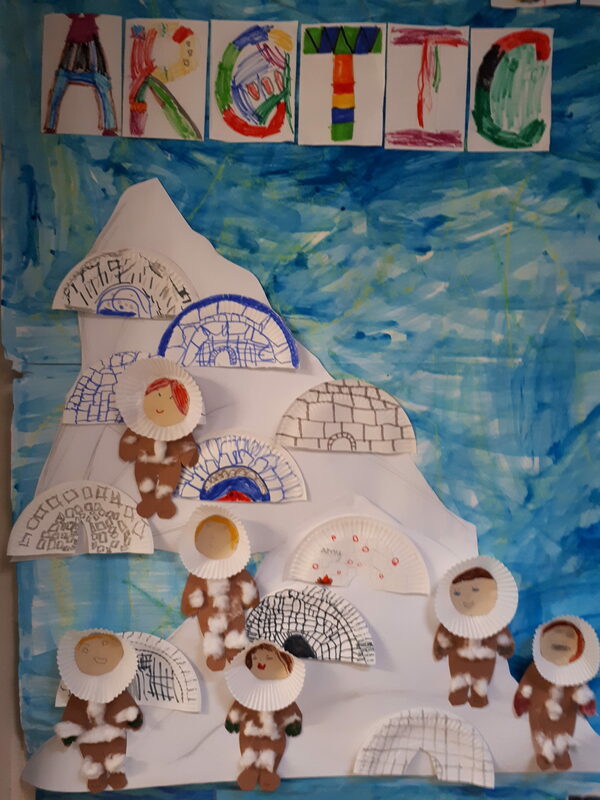 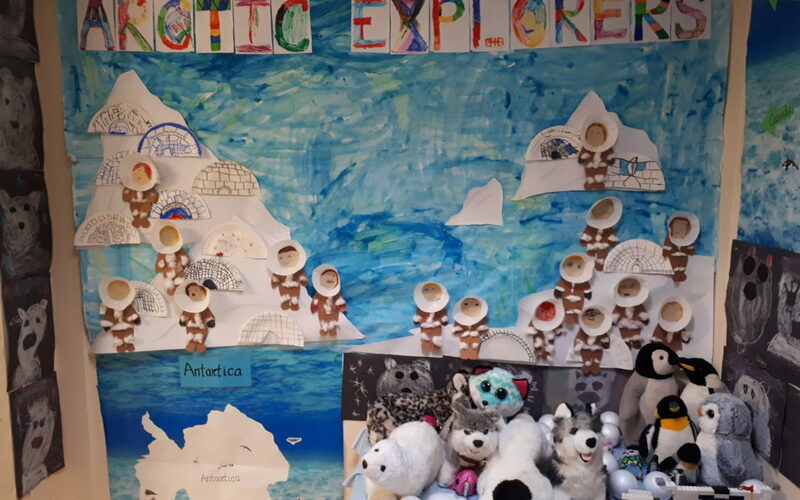 This month’s aistear theme in Junior and Senior Infants is Antarctica and the Arctic. 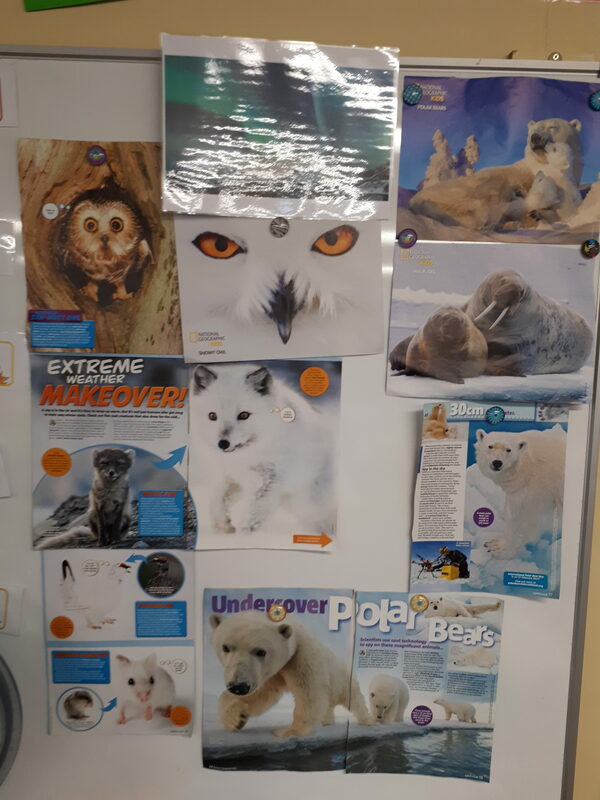 The children are really enjoying learning about the animals who live in these regions. 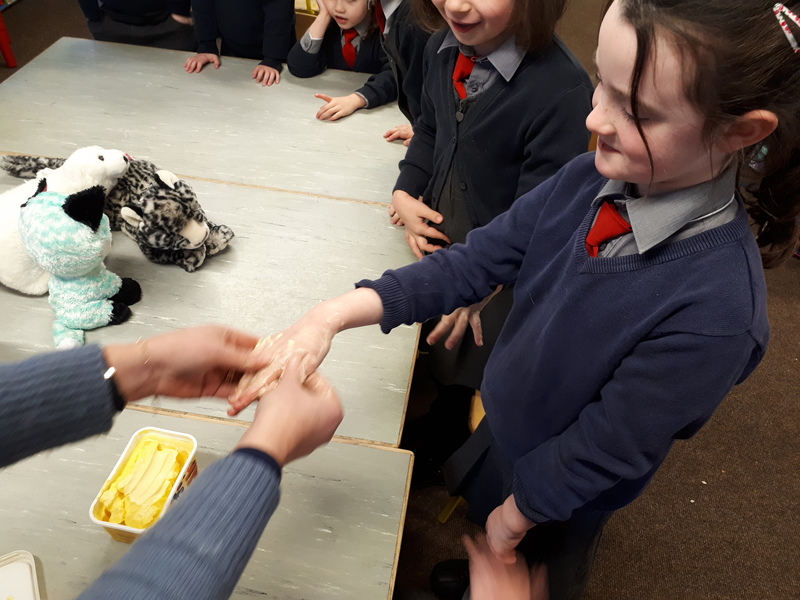 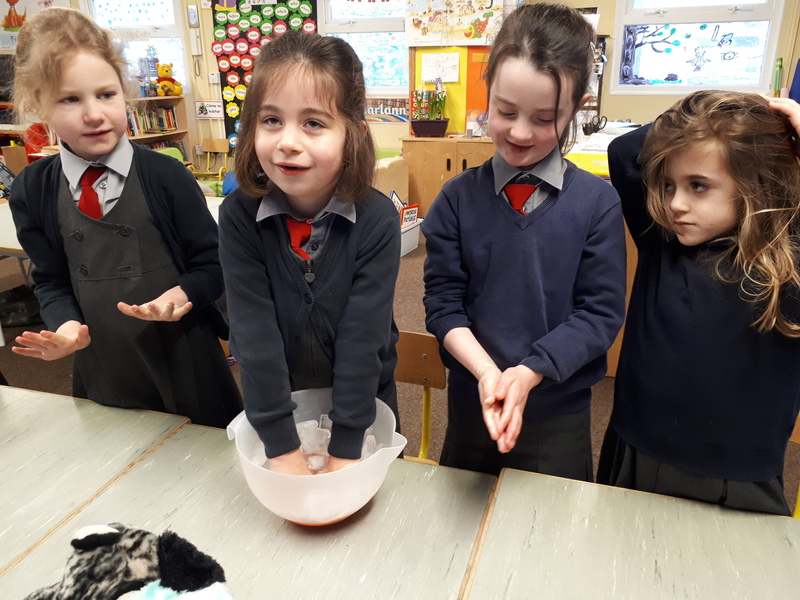 They have learnt about how these animals survive in such extreme weather conditions and we investigated with fat to show how a layer of blubber helps keep them warm in the ice cold water. 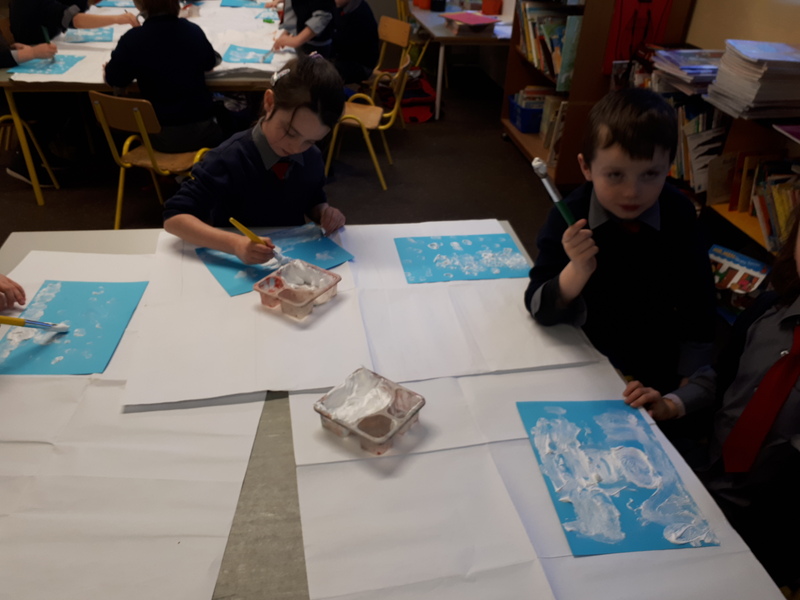 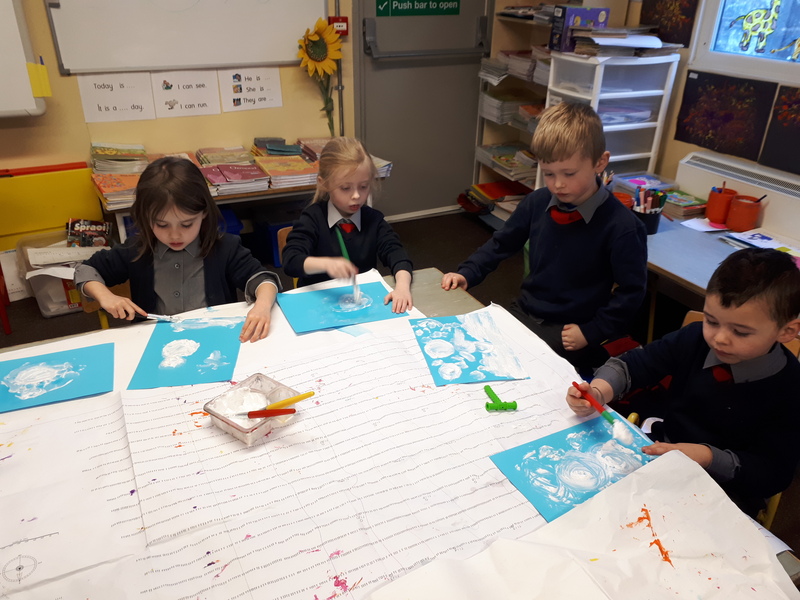 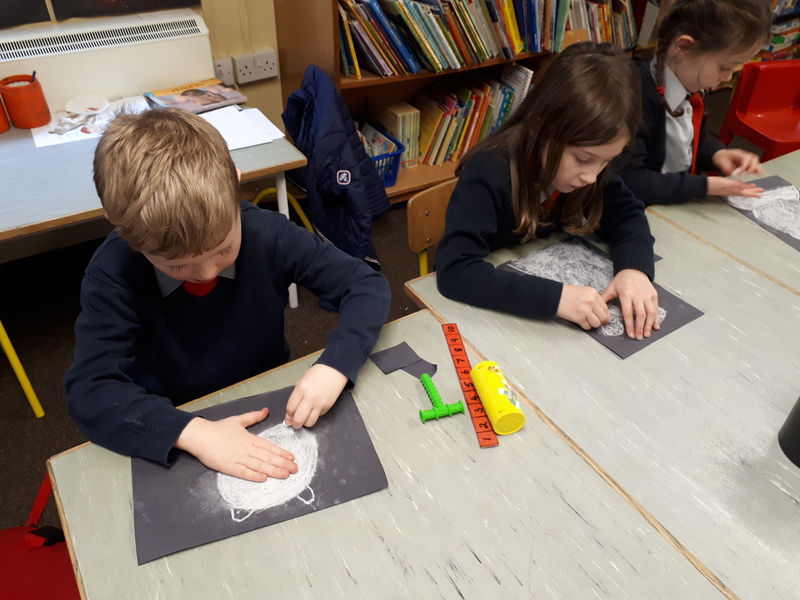 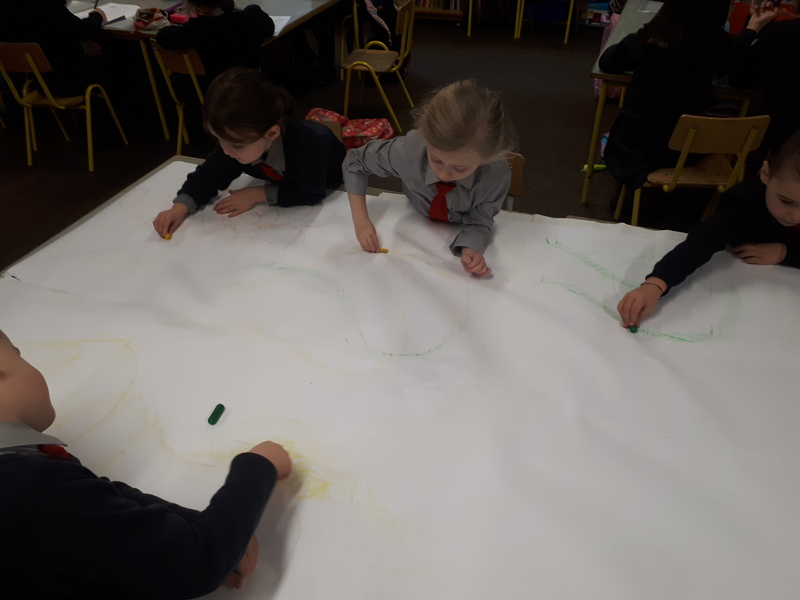 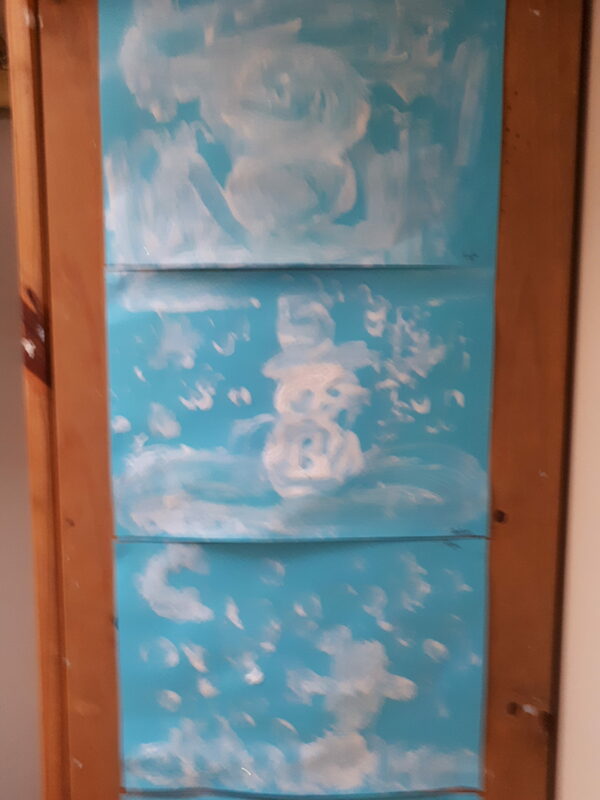 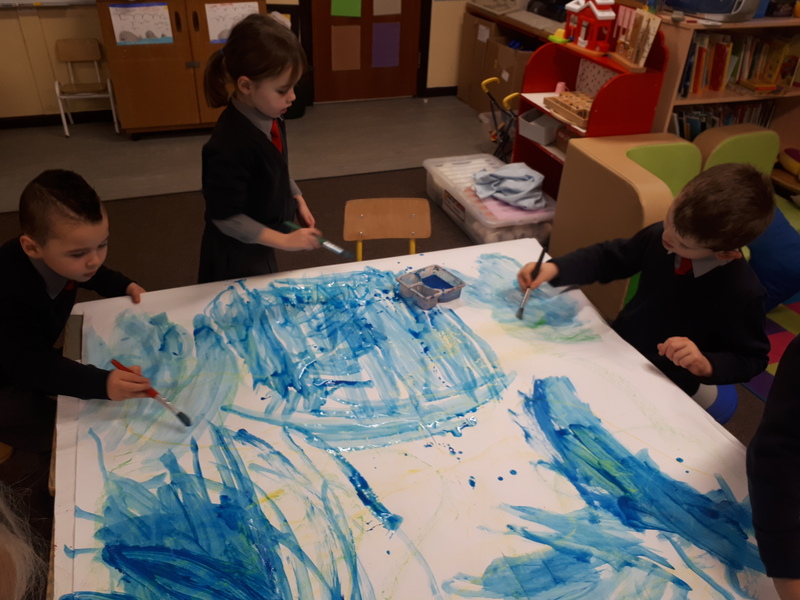 The Junior Infants painted a backdrop for our artwork including the Northern Lights, The children learnt about Inuits and made igloos for out Antarctica display. 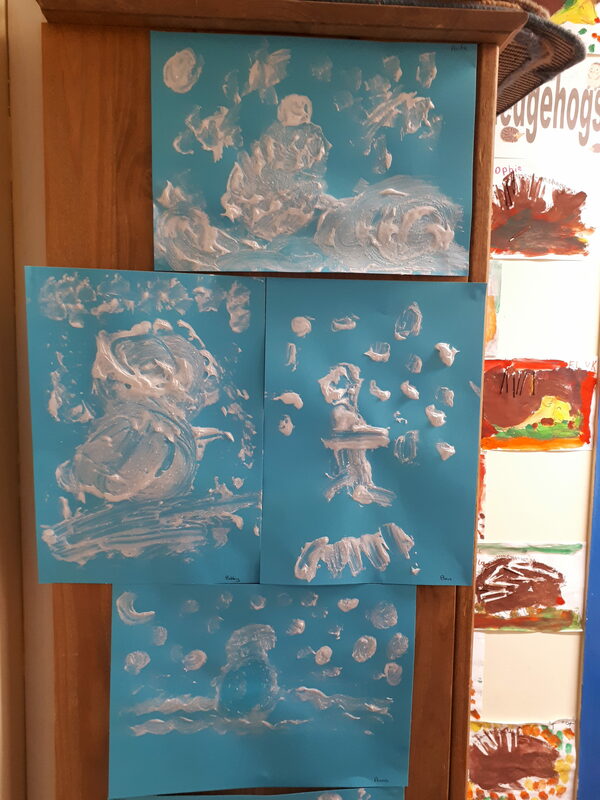 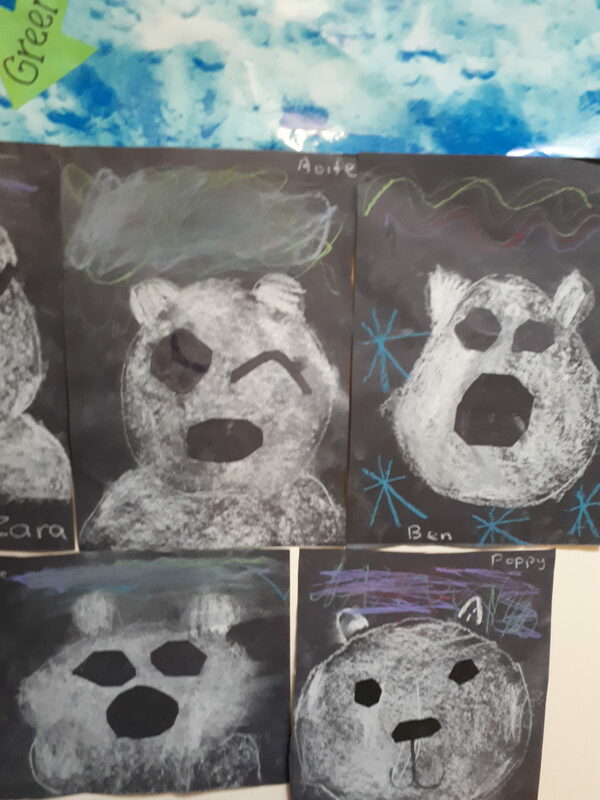 We drew Walruses and Polar Bears and painted pictures using snow paint.